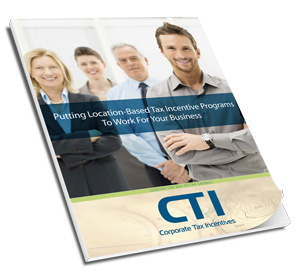 CTI's whitepaper archive is full of educational tips and best practices for discovering tax incentive programs for which your company may qualify. Click on a whitepaper below to download. The Work Opportunity Tax Credit program allows businesses to save money on tax liability by issuing credits for new hires who qualify through the program. Tax incentives like the WOTC have the potential to significantly improve your tax budget when you take advantage of this opportunity. What Can R&D Do For You? The Insider’s Guide To Calculating (And Profiting From) Your Research And Development Tax Credits - The elusive research and development (R&D) tax credit is one of the best-kept secrets of the IRS. But while its requirements might be complicated, its payoff is phenomenal. You want to provide your CPA firm’s clients with the most financially advantageous approach to their business. 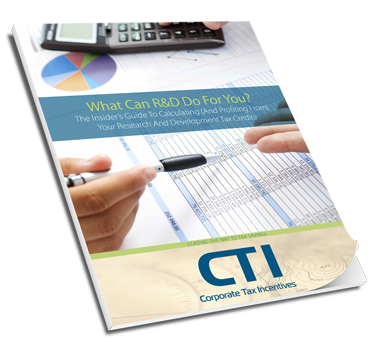 Are your clients entitled to receive research and development (R&D) tax credits? Does your personnel know how to navigate the complex landscape of R&D tax credits to optimize the rewards while minimizing an audit risk? Pharmaceutical companies like yours have a number of viable opportunities to capturing R&D tax credits – incentives created to incentivize growth and innovation within the industry. If you aren't pursuing every possible benefit to recover investments made in the research of new drug discovery and development, you're leaving money on the table. If you’re looking to generate more revenue for your business via tax incentives, you’ve likely learned about location-based incentives. Incentive programs, such as empowerment zones, are created to provide businesses with financial encouragement to expand their activities into geographic areas in need of revitalization. 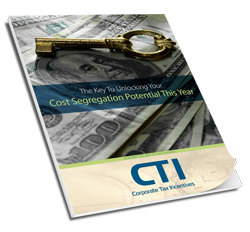 Cost segregation is a complex path to pursue, especially if you don’t understand critical components of conducting an analysis, negotiating complicated IRS forms and steering the right strategy towards tax savings. Are you concerned about your CPA firm's ability to keep up with increasing client demands for a broader range of services? As you likely already know, when you lack the right resources to truly maximize tax benefits for your clients, you risk losing your client base to competitors.